Here you can compare prices on rental cars in the town of Málaga, region Andalusia, Spain. When you rent a car from us, there are no surprises awaiting you when you pick up the car on your arrival. There are car rental companies like Goldcar, Avis, Thrifty, Dollar, Sixt, Alamo, Surprice, Europcar, Keddy By Europcar, National, Budget, InterRent, Enterprise, Hertz, Firefly, Flizzr etc. Prices include any airport fees, free mileage and obligatory insurances, taxes and fees etc. Autospain.co.uk can help you find cheap rental cars online. Cheap car hire in Málaga - Compare prices before you book! We have an easy and safe online booking of rental cars. Car hire where every cost is included, no hidden fees and free cancellations/amendments up to 24 hours before you are supposed to pick up the car. Search and choose destination, search for country, city etc. and choose from the list. Rental cars at Málaga’s train stations (María Zambrano Railway Station, Aeropuerto, Estación de Cala, Los Alamos, Estación de Campanillas and Estación del Rincón) travel centre and airports like Málaga Airport and Granada Airport, AGP and ferry terminals and ports (Marina Real Club Mediterráneo, Hafen Malaga, Malaga Ferry Port). Find the best prices for rental cars online. Comparing prices online can be very profitable, many smaller companies can otherwise only be booked on site. 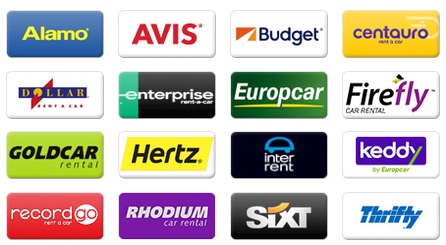 Comparison of rental cars and car hires from several businesses in the town of Málaga, Spain. Eucarhire on Paseo de la Farola 25, Centauro Ave on Calle Mendívil 10 Local 1, Alamo on Estación de Tren, Gold Car on Calle Mendívil 2, Sixt on Calle Mendívil 12, Avis Budget on Renfe Centro Comercial Vialia Local F 1, ACE on Calle Explanada de la Estación 6 Bajo, National on Estación de Tren, Hertz Maria Zambrano on Parking 2 Vialia Shopping Centre Calle Mendívil, Thrifty Rr Stn on C Mendivil Parking 2, Europcar on Explanada de la Estacion, Avis on Renfe Centro Comercial Vialia Dev Parking Menos 2 Calle Mendívil, Enterprise on Calle Marea Baja 11, Hertz on Calle Explanada de la Estación, Budget España on Renfe Centro Comercial Vialia Local F 1, Enterprise on Centro Comercial Vialia Maria Zambrano Local Fo 11, Goldcar on Calle Explanada de la Estación 6 are the companies we compare near Málaga to find the best price. Málaga (Màlaga, Malaga) is a town in the municipality Malaga, Andalusia region, Spain. It is the central city in the area. 2th largest city/town when it comes to inhabitants in the region and the 6th largest town/district in Spain. Has about 568 300 (2015) inhabitants. Larger surrounding cities/communities are Marbella (c. 134600 pop), Vélez-Málaga (c. 74200 pop) and Mijas (c. 73800 pop). Regardless of how long you are staying the town there are things to experience and do. Located about 22 m above sea level. Small villages, communities and suburbs nearby are Valdés, Alora, Rute, Huétor-Tájar, Archidona, Pedregalejo, El Palo, El Chaparral, Guadalmar and Puerto de la Torre. These metro (subway) stations are located in the city Centro Alameda, El Perchel, Metro Portada Alta, El Torcal, Puerta Blanca, Universidad, Palacio de Deportes and Andalucía Tech. Find out more about the car hire companies in Malaga. Some suggestions and tips on places, activities, events, attractions, museums, experiences and destinations in the town that are worth a visit during your holiday in Málaga. A day for relaxing and sunbathing on the beach at Playa Pedregalejo, Playa Peñon, Playa de la Caleta, Playa Virginia, Playa Las Acacias, Playa de la Malagueta and Playa del Palo. They are all close to the town. Costa del Sol are the coasts nearby. Keen on seeing ancient relics, older buildings, antiquities and cultural heritage? These places, Archaeological site of la Araña, Teatro Romano and Roman villa of Los Molinillos, could be worth a visit. Are you planning a wine tour and tasting in Málaga? Some of the vineyards and wine producers that are close to the the town are, for example, Gomara. Interesting cathedrals or churches that are close by are St George’s Church, Church of Santiago, Church of Santo Domingo and Cathedral of la Encarnación de Málaga. Inacua Racket Center are located nearby if you want to watch sports or see a game. Watch the local team play? Or see a concert? Watch football? Close to the town centre are the La Rosaleda Stadium, Stadium Ciudad de Málaga and Palacio deportes Martín Carpena. Recreation and activities? Centro Cultural Provincial and Centro Cultural Pablo Ruiz Picasso are located close to the town centre. Fascinating parks and gardens in the central parts of the city are Botanic garden Malaga, Jardines Picasso, Botanical Garden and Molino del Inca. Relaxing and beautiful green areas, parks and plantings worth seeing are Park Huelín, Montes de Málaga, La Batería Park and Gardens of Puerta Oscura. Malls like Centro Comercial Málaga Plaza, Centro Comercial Plaza Mayor, Centro Comercial Rincón de la Victoria, Muelle Uno and Centro Comercial Rosaleda are close by if you want to do some shopping. Club de Golf El Candado 7 km, Añoreta Golf 16 km, Guadalhorce Club de Golf 10 km and Málaga Golf 9 km are golf courses located close to the community. Do you want to play some golf or are planning a golf trip? Famous and interesting palaces, villas and mansions in the city are Town Hall Palace and Episcopal Palace. Castillo de (Castle) Bil Bil, castle Gibralfaro and Alcazaba are new as well as old beautiful castles to see and they are located in the town centre. Dinosaurios Park, Aqualand and Tivoli World are water parks, amusement parks or theme parks nearby. If you are craving for activities and experiences with your children. Selwo Marina Delfinarium, Sea Life Benalmádena and Crocodile Park are tropicariums, tropical houses, zoos, aquariums, safari parks and terrariums that are nearby. Visit nice squares and large open spaces in the central parts of town. Plaza De La Merced, Plaza de la Marina, Plaza del Obispo, Plaza del Ejido and Plaza Santa Maria are nearby. If you want to visit a museum you can choose between Museum of Vino-Málaga, Museo Revello de Toro, Museo Carmen Thyssen, Santa Ana, Museum of Málaga, Palace of la Aduana, Aula del Mar. Museo Alborania, Picasso Museum, Museum of Vidrio y Cristal de Málaga and Museo Birthplace of Picasso, which are within a walking distance from the town centre. Interesting historical ruins and places that are worth a visit are Cortijo del Sastre. Car hire in airports nearby: Rent a Car Málaga-Costa del Sol Airport and Granada-Jaén Airport. National, Dickmanns, Surprice, Cooltra Scooter, Autos Valls, Marbesol, Autos Aguirre, Hertz Dream Collection, Rhodium, Avis, TopCar, Enterprise, Goldcar, Autoclick, Hertz, CICAR, Keddy By Europcar, OK Rent a Car, Wiber, Malco Rent a Car, Atesa, Record, La Palma 24, Owners Cars, Solmar, Europcar, Dollar, Drivalia, Maggiore, Thrifty, Flizzr, Faycan, Firefly, ClickRent, Canarias.com, King rent, Delpaso, InterRent, Budget, Hiper Rent a car, Autos Menorca, Sixt, Orcar Canarias, Niza, Orlando, Centauro, Alamo, Nomadcar, Class Rent a Car and AutoReisen are the companies we compare near Málaga to find the best price. You can usually find the largest selection at airports such as Málaga-Costa del Sol Pablo Picasso Airport and Federico García Lorca Granada-Jaén Airport. The large companies usually have offices adjacent to the airport.